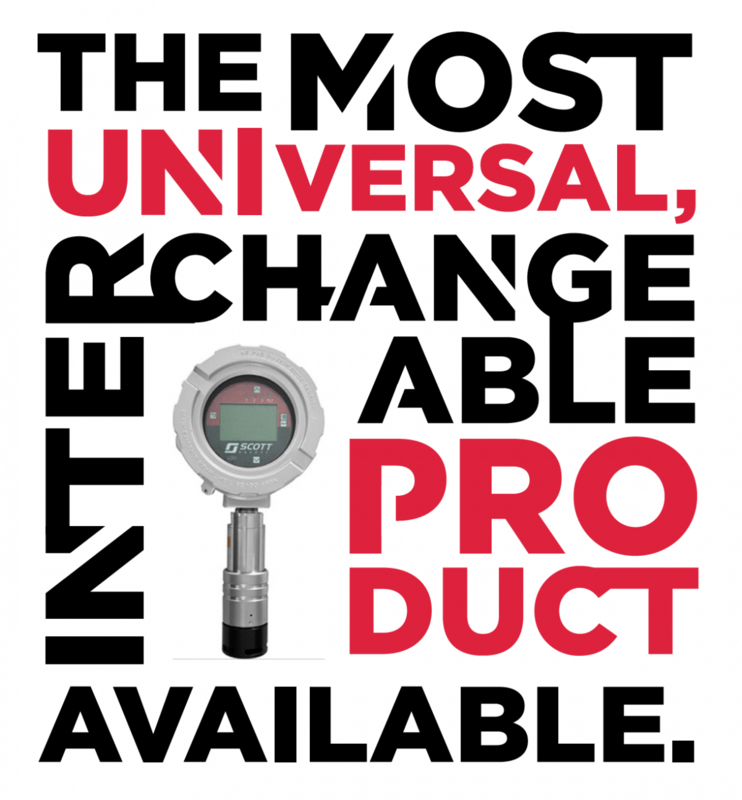 Scott Safety is a global category leader in Fire Safety products. They developed a new, disruptive product for the petrochemical, oil and gas industry, in which they do not have the same reputation to leverage. They came to Pixelslave to develop a 360º launch and pre-launch campaign that would raise awareness and generate leads while shortening their typical 18 month sales cycle. Animated product video – The prototype product was not yet complete so we realistically animated the video from CAD drawings. We used the video in several channels. 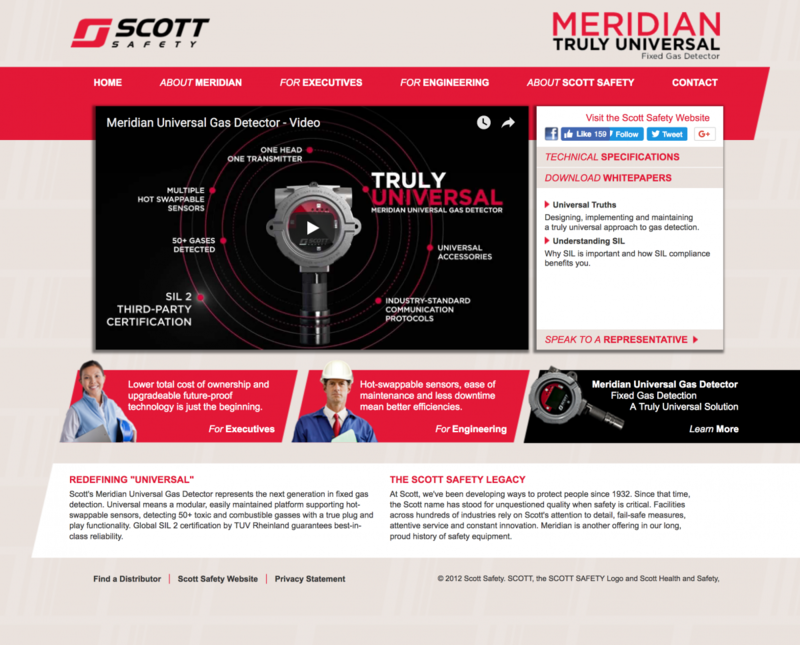 We created a microsite for the new product strategically different than Scott’s typical rollout look. We developed a tradeshow strategy which included a distinctive, branded thumb drive that had the product video and collateral on it. This was given in exchange for contact information. 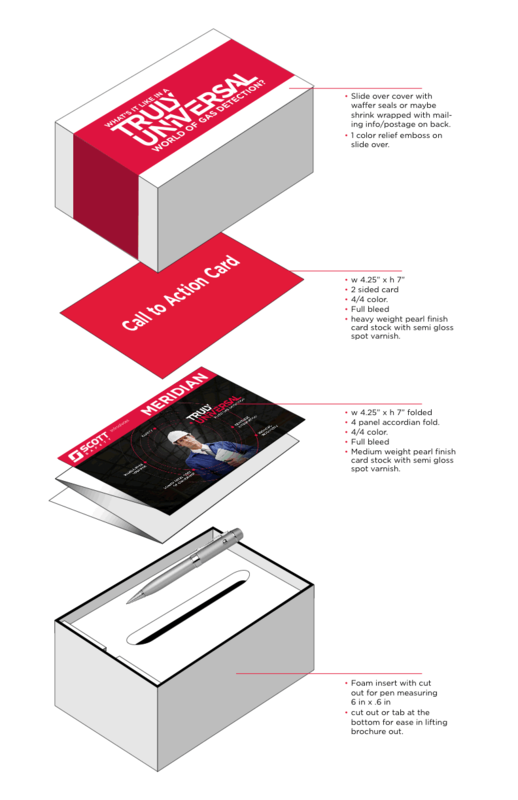 We also provided pre and post show communications, including a high-impact, dimensional mailer for influential prospects. The prelaunch campaign was highly successful developing hundreds of leads and conversations as well as pre-orders, successfully meeting the goal of shortening the sales cycle. 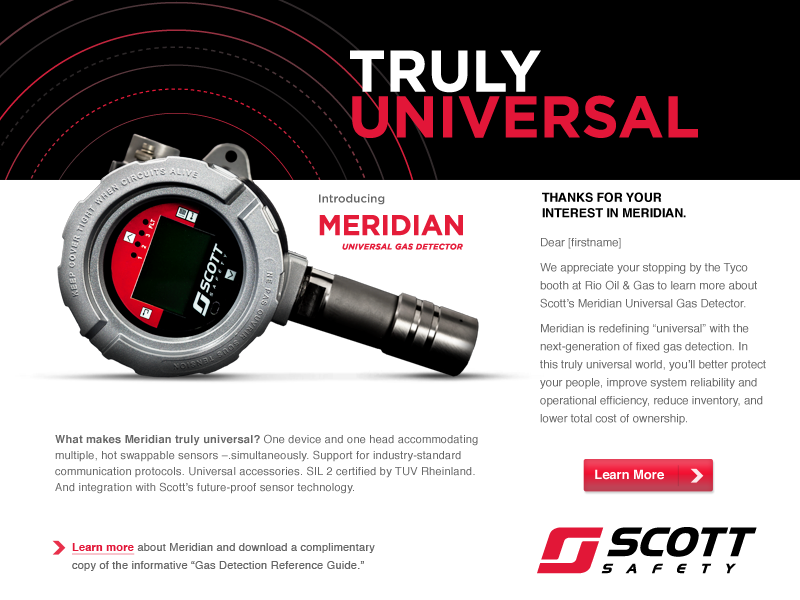 We continue to work on projects for Scott Safety’s other vertical markets.